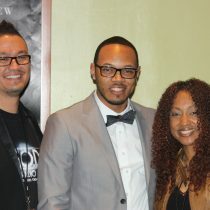 Couldn’t attend the Stellar Awards in Vegas this year? Well, we’ll bring it to you over the next few weeks in the form of interviews and candid discussions with our favorites in the gospel today. Everyone from Stellar co-host, Erica Campbell to Brian Courtney-Wilson, we got the latest on their lives, their music and their careers. Erica Campbell and Anthony Brown hosted the 32nd Annual Stellar Gospel Music Awards show, which will air on TV One on Sunday April 9, 2017, beginning at 6 pm EST, with encore broadcasts at 8 pm and 11 pm EST. You can get it here and get it first, just tune with us on Gospel On Demand, (G.O.D.) Radio every Sunday morning from 6am to 8am on K- Praise 1210AM KPRZ also available online at KPRZ.com, on satellite using the iHeart Radio app. or by simply using the K-Praise App. Follow Gospel On Demand Radio on social media using Facebook Gospel On Demand Radio, Twitter @GODRADIO1 and Instagram @GODRADIO1 for the latest! 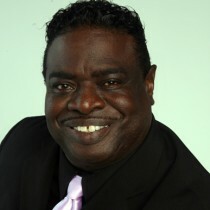 Walter “Larry” Williams May 20, 1951 – December 10, 2015 It is with great sorrow and heavy hearts that we announce the home going of Larry Williams on today. Larry was not only the booming bass of Men 4 Christ; he was a father, grandfather and great-grandfather and faithful member of Mount Erie Baptist Church, pastored by Pastor Walter G. Wells. Larry was one of the original members of this faithful group of men and a son of the church, and son of San Diego. He is an alumnus of Lincoln High School and lived most of his life in this city. He will forever live on in our minds and hearts and we solicit the prayers and support of friends, family and fans from all over the world. May you find comfort in the outpouring of love surrounding you from your family at M.A.N.D.A.T.E. Records. 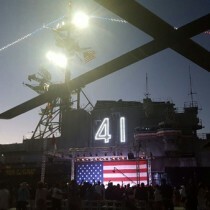 It all came together last night aboard the USS Midway at the hottest concert of the season on Sunday, July 26. The 900+ individuals got an up-close and direct view of gospel hottest and controversial artist of the decade – DOVE, Stellar, and Grammy Awardee, Erica Campbell. 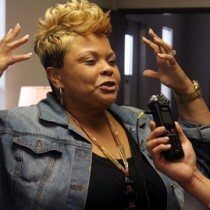 Her solo album has risen to the top of the (secular and gospel) charts and gathering momentum with a new gem hitting the airway seemingly every week. 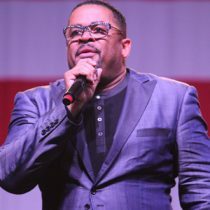 This summertime sensation had a talented line-up that included Men 4 Christ, Archie Robinson, Chris White, Bayview Baptist Church Youth and Young Adult Choir, “Chosen”, the Divine Praise Dancers of Los Angeles, CA and Pave Diamond. M.A.N.D.A.T.E. Records was joined by this years’ event co-sponsors, Urban League of San Diego County, Walmart, Payne Pest Management, Comerica Bank, JUCE TV, USS Midway, G.O.D. Radio, The San Diego Voice & View Point, The San Diego Collective and The Good News, Etc., to honor our military and bring gospel entertainment to the forefront in Southern California. A portion of the concert proceeds benefit returning veterans and their families.